Signed on Sept. 8, 1951, the Security Treaty Between the United States and Japan – along with the San Francisco Peace Treaty of the same date – wholly disarmed Japan while allowing the United States an optimal military foothold in Asia. Encapsulating postwar relations between the two nations, the documents dismantled the Japanese war machine, leaving the United States in sole possession of Japan’s defenses. Nearly ten years later, discussion turned to a new Treaty of Mutual Cooperation and Security Between the United States and Japan – commonly known as Anpo – in 1959. The treaty granted the United States continued military presence in Japan. Early drafts of the new agreement were spearheaded by then Prime Minister Nobusuke Kishi of the Liberal Democratic Party in Nov. 1959, and introduced to a National Diet suspiciously devoid of opposition. Kishi’s actions along with Anpo itself, inspired mass protests. Demonstrators were greeted with police resistance on the steps of the National Diet Building in Nagatachou, and approximately 500 people were injured. This initial clash laid the groundwork for continued grassroots demonstrations against the Anpo treaty throughout 1960. In spite of growing opposition and student protests, Kishi secured ratification of the treaty on May 19, 1960. Rare was the day that did not go without resistance, and unrest continued to grow throughout May and June. On June 15, thousands of protestors met with police opposition at the parliament building, leading to the death of student Michiko Kanba and injuries to approximately 600 people. At the request of Kishi and the Japanese government, President Eisenhower cancelled a June 19 visit to Japan because of the Anpo protests. Millions participated in the demonstrations, and although Kishi did see out the official ratification of Anpo on June 17, he subsequently stepped down from office on June 23. These protests would later prove as a template for future Japanese student activism in the 1970s; however, they were seen as largely unsuccessful by participants due to the fact that the treaty was ratified regardless. While walking back from an Anpo demonstration, Rokusuke Ei penned the lyrics to “Ue o Muite Arukou” (I Look Up as I Walk), expressing his frustration. Saddened by the perceived ineffectiveness of the protests, Ei wrote of a man who looks up at the sky while he walks, lest his tears fall to the ground. The song was released in Japan in 1961 and sung by Japanese pop star Kyu Sakamoto. It quickly conquered pop music charts both in Japan and abroad to become one of the best-selling singles of all time. In the United States it was released under the title “Sukiyaki” in spite of having nothing to do with the Japanese dish, as the shorter title was thought to be catchier for an English-speaking audience. 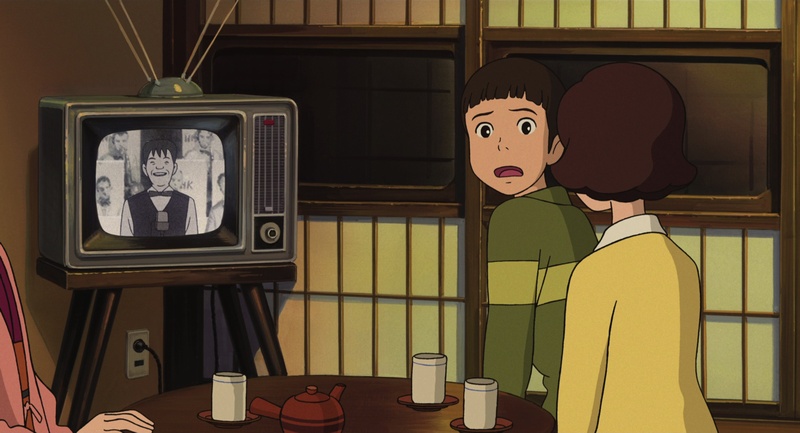 “Ue o Muite Arukou” is used multiple times in Studio Ghibli’s 2011 film, From Up on Poppy Hill. 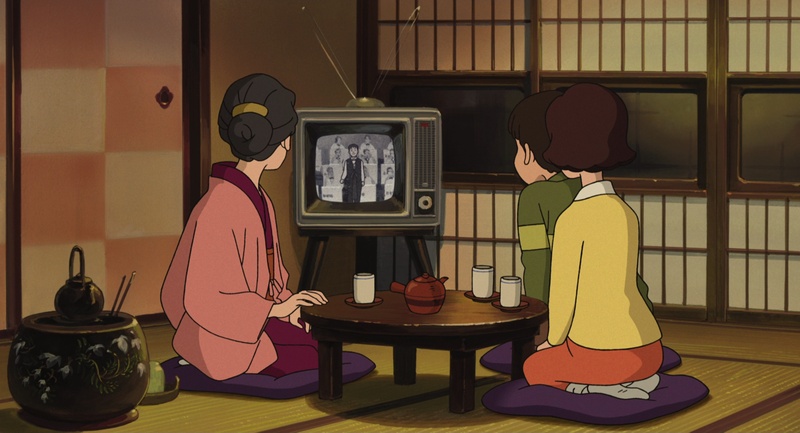 Set in in 1960s postwar Japan, Poppy Hill embodies the 1960s period of civil unrest and student activism in Japan. Shun Kazama, quoted above, initially meets protagonist Umi Matsuzaki during a demonstration against the destruction of The Latin Quarter, an older school building that houses various student activities clubs. As the head of the Journalism Club and school newspaper, Shun leads the activist movement at his high school along with the student body president. 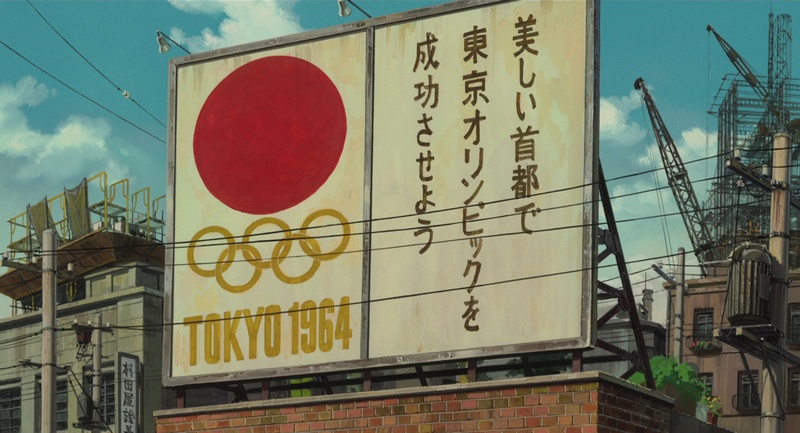 Throughout the film, there are nods to the growth of Japan in the postwar era, along with its struggles to establish itself as an independent nation, attempting to cast off the yoke of the United States and the shadows of World War II. Additionally, Umi’s father was killed in the Korean War, when the supply ship he was on was sunk by a mine. Due to the state of Japanese-US relations, and the United States’ desire to oppose China in the Korean War, Japanese suppliers were pressed into service by the US military, reiterating the position of Japan as a US way point. 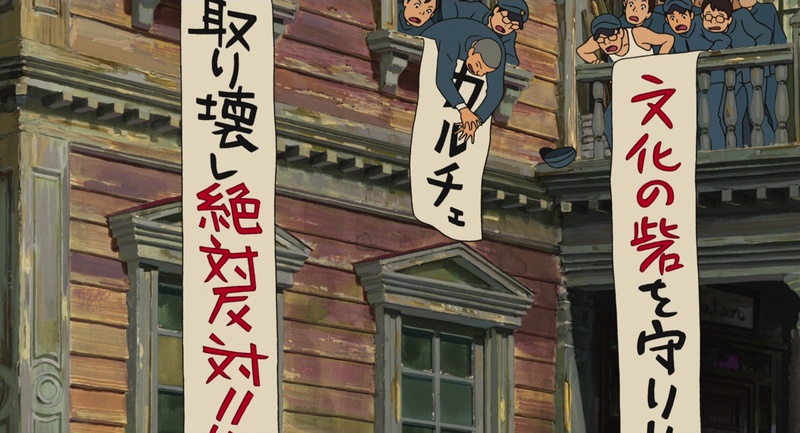 From Up on Poppy Hill is first and foremost a period piece, and the Latin Quarter narrative acts as a microcosm for Japanese unrest and activism. Another series that touches upon student activism in postwar Japan is Hyouka. The first mystery that the Classics Club, and known deductive mind Houtarou Oreki, must solve is the story of Eru Chitanda’s uncle, Jun Sekitani. Forced to take the fall after a series of student protests ended in the accidental burning of a building, Sekitani was expelled from school, in spite of the fact that he was not the true leader of the student movement. In one of his last acts as a high school student, Sekitani named the Classics Club anthology, “Hyouka,” as a pun on “ice cream” and “I scream” to express his inability to speak out. At the cultural festival that was re-nicknamed in his honor – as the Kanya Festival – Chitanda stops to listen as the A Cappella club performs “Ue o Muite Arukou,” another nod to the student movement. While “Ue o Muite Arukou” was written to express disappointment in the ineffectiveness of the Anpo protests, the lyrics are deliberately ambigious and can represent any unrequited or painful love. 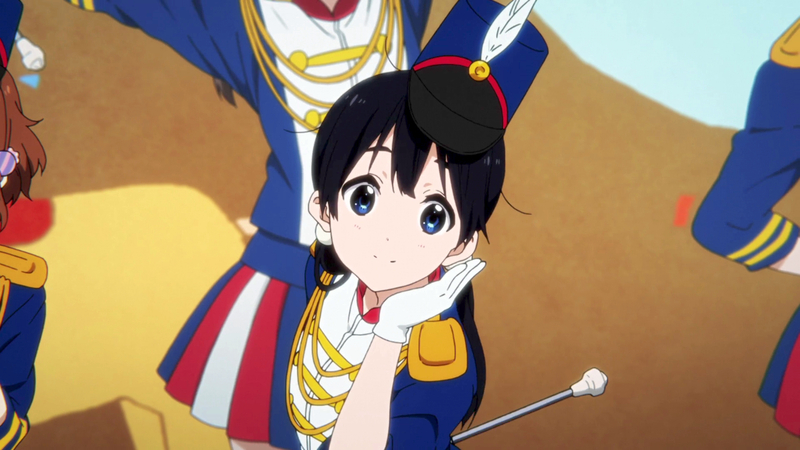 In the recent movie, Tamako Love Story, heroine Tamako Kitashirakawa performs to the song with her baton club, following the acceptance of her feelings towards next-door neighbor Mochizou Ouji. 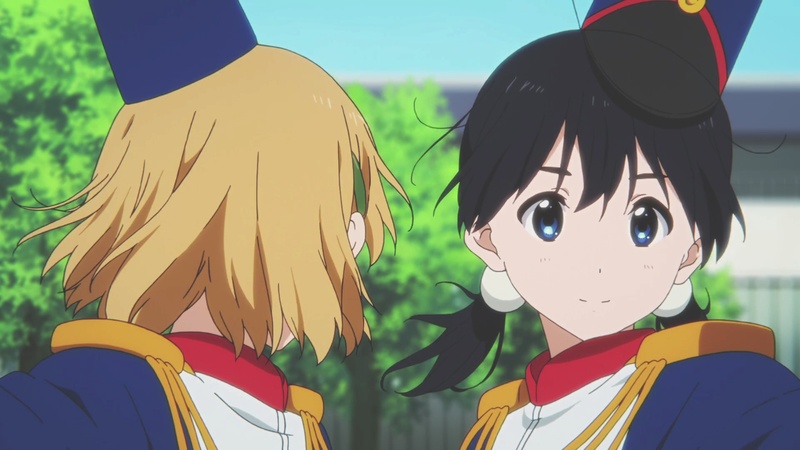 What follows is a lovely moment between Tamako and her best friend, Midori Tokiwa. 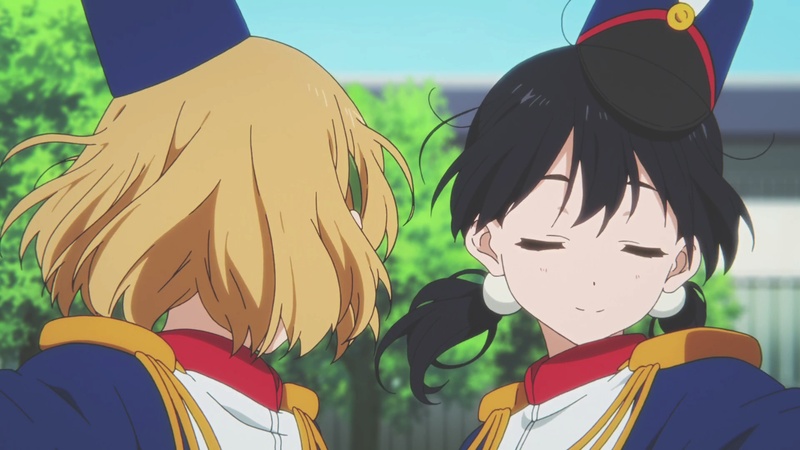 Midori has come to terms with her own feelings for Tamako; however, had settled into a state of pleasant acceptance under the assumption that Mochizou would never confess his affection. 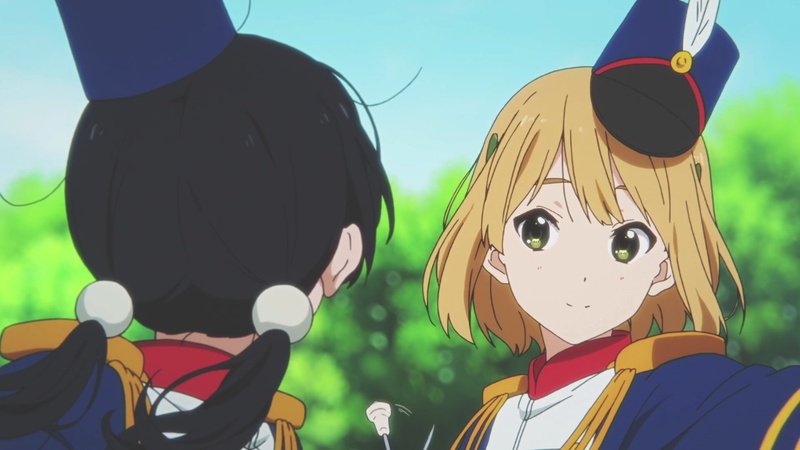 Following his confession, Midori is left to face the futility of her love for Tamako, while simultaneously guiding her best friend through her respective feelings. 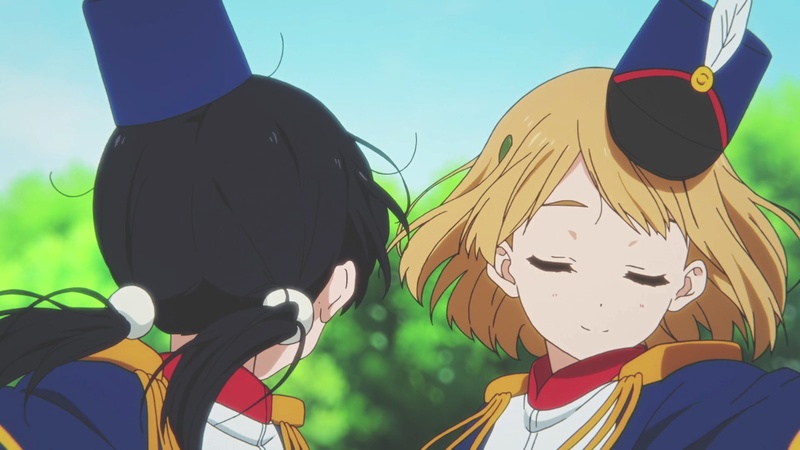 Prior to their club’s performance – which Tamako had been struggling with due to her emotional confusion – Tamako accepts that she loves Mochizou and thanks Midori for her help. As “Ue o Muite Arukou” plays, the two pass each other during the routine. They both look at each other, blink, and then look ahead, each able to move forward with their respective feelings. Nicely written, and well researched. I’ve seen each of these works you reference, but never paused to consider the history and connections. Thank you for enlightening my previous views! 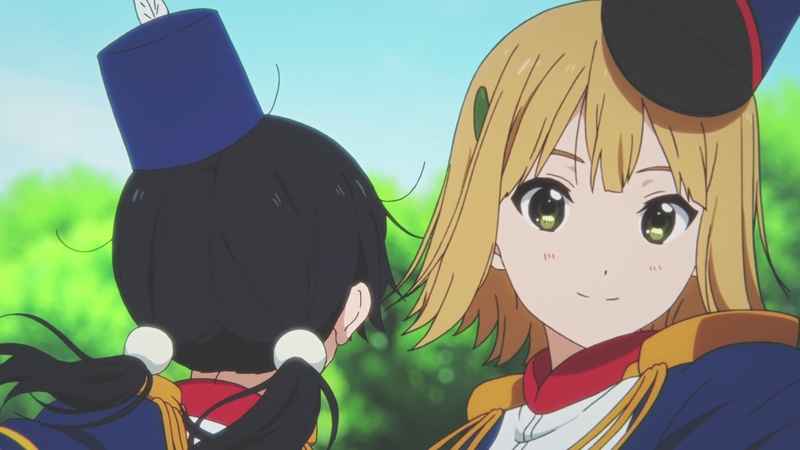 It’s amusing to me that you included “Tamako Market” despite its twist on the application of the lyrics, but it makes sense that a song with such reverberating feelings would work just as well in that case. 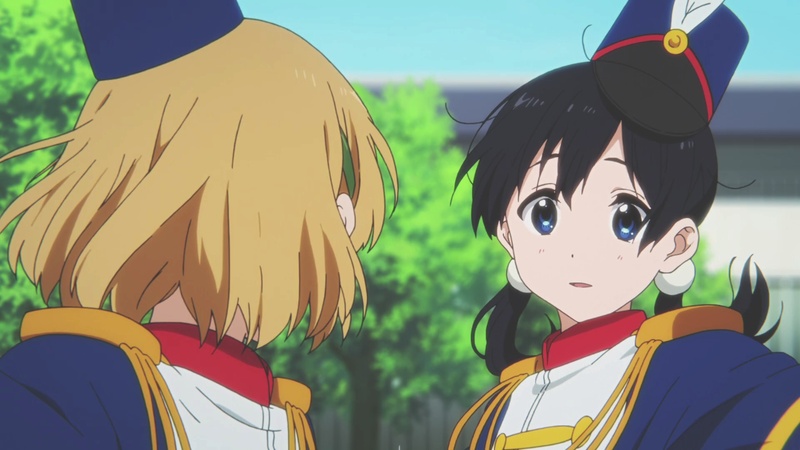 The Tamako Love Story writters will know the real meaning of the lyrics?, because in this movie the song is used in a very wrong way. This song has nothing to do with the movie plot. Maybe this is the reason whereby the song in the movie is instrumental. 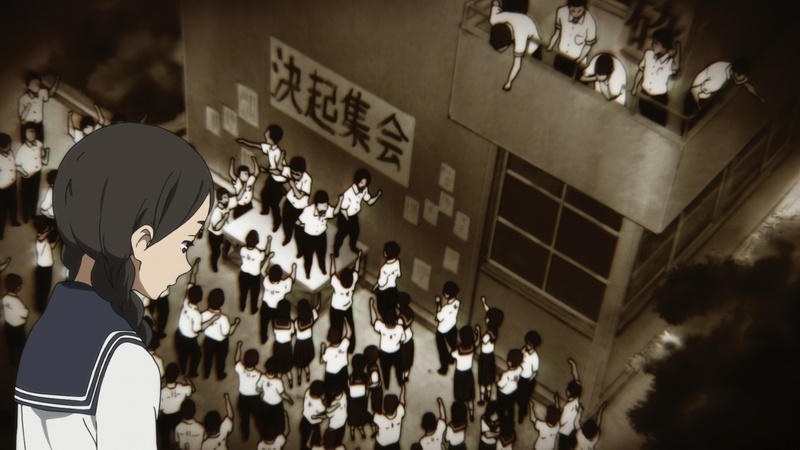 Ah, I’d always been wonder what those student protests in the background of Kids on the Slope were all about, but I never got around to looking into it. I guess those were Anpo demonstrations? It would make sense – the dissidents gathered at universities and were primarily student lead, which fits the description related here. Good article. This Wednesday is the 30th anniversary of that terrible plane crash, and the death of Mr. Sakamoto. well-writen! where did you get the archive and/or reference of this facts? Especially about the motives behind the Ei’s songwriting in that period? I would also like to ask where you got the source about Ei Rokusuke taking inspiratin for the lyrics from the ANPO protests. Is this from a book, article, or interview?